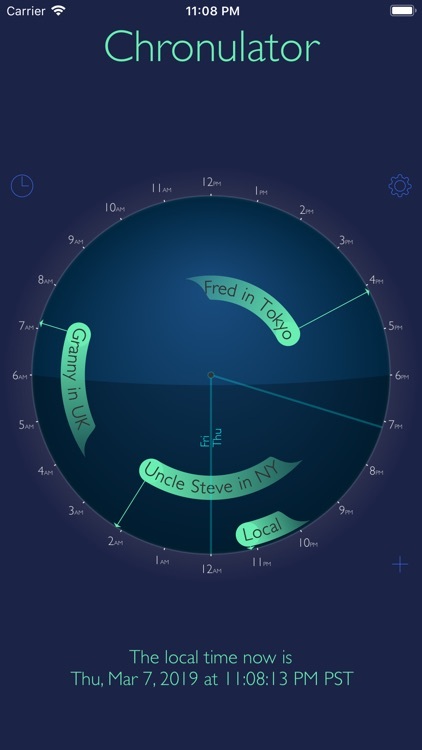 Chronulator is a simple world clock with a unique global perspective. Global View - See different times at multiple locations around the world, all on one easy to read display. 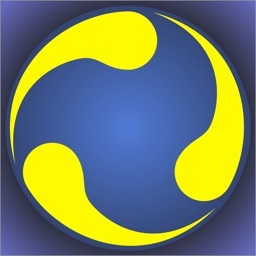 Time Machine - Spin the globe to see the times at any point in the future or past. 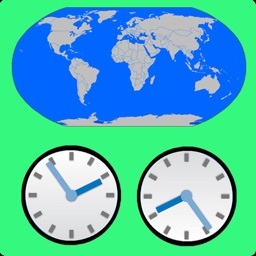 • See what time it is now in any other location. 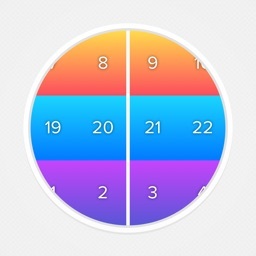 Add locations to the clock to show the time. 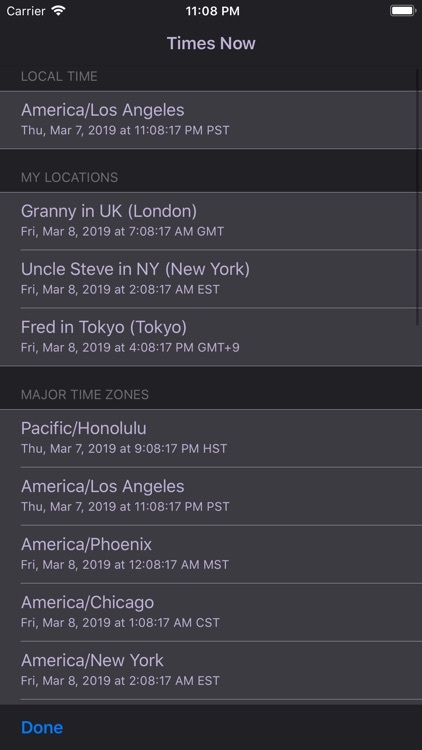 • See what time it will be at some other location in the future. 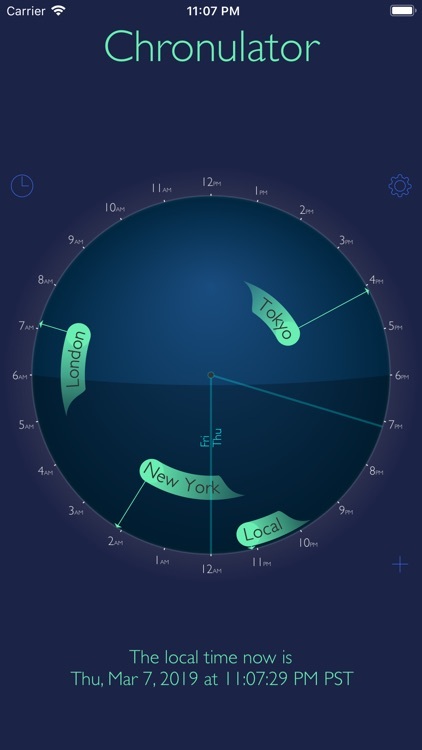 For example, if you are in New York at 10:00AM, rotate the disk forward to see what time it will be in London 3 hours in the future. 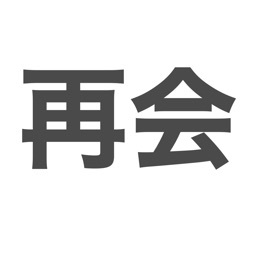 • Find the time where you are locally, when another location has reached some time in the future. For example, when it is 8AM in London, what time is it here in New York? 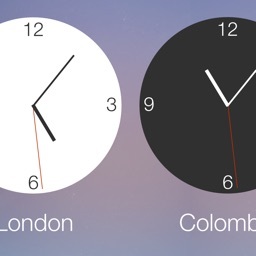 Just spin the globe forward until London is at 8AM and the display shows New York's time. 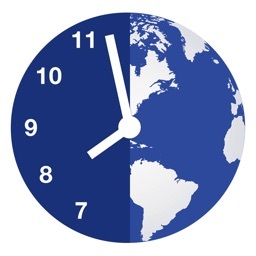 • See what the local time will be when you arrive on a flight from another time zone. For example, flying from New York to Paris, spin the disk forward to the starting flight time in New York, then rotate forward the number of hours of the flight, and the display will show both the time you will arrive in Paris, and the time in New York.